ACNE problem ? We will share some very effective Home Remedies For Acne in this article. 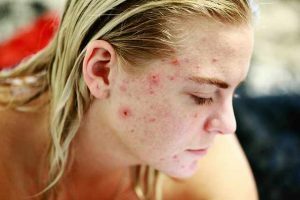 Acne is not problem for teenagers but is a concern for adolescents. 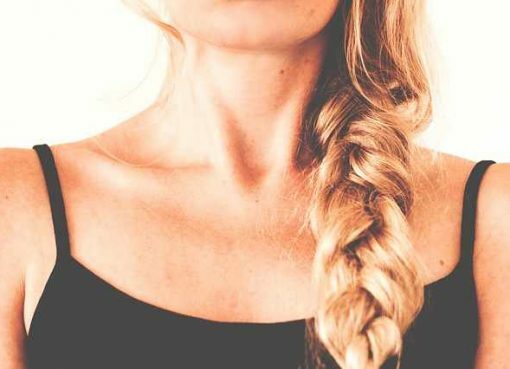 Oil glands, called sebaceous glands, that are attached to root of hair are stimulated by body at the time of puberty due to changes in body and change in the level of male hormones. Increased level of oil in the skin leads to acne or pimples. 1. Use acne care soap :- Wash your face twice daily using anti acne soap or soap containing sulfur. Best time to wash your face is before going to bed in the evening and in the morning. Do not not wash your face again and again as it will lead to stimulation of oil glands. More oil content means increase in the acne problem. Always wash your face gently and do not scrub using anything. 2. Use Honey :- Honey is great Home Remedy For Acne and is very beneficial for the skin due to its antibacterial properties. Apply honey as a mask your face twice a week. It is very effective and is great for healing minor skin. Being natural, honey is good even for sensitive skin type. 3. Avoid Face Makeup :- Makeup products or cosmetics may be oil based. When you wear a makeup on your face, it blocks the skin pores and leads to accumulation of more oil on the skin. This leads to more problems like blackheads or pimples. One of the alternatives for this is to use water based cosmetics rather than oil based. 4. Unblock Skin Pores :- Skin pores get blocked by keratin or sebum. This leads to formation of pimples, acne or blackheads on the skin. In order to open these clogged pores; salicylic acid cleanser can be used. When applied to the skin, it softens and loosens these blockages by softening keratin. You can wash your skin with this cleanser for 1 to 3 times a day depending on your skin type and need. 5. Benzoyl Peroxide :- Use a soap or cream containing benzoyl peroxide two times a day. It is a good anti bacterial that kills the bacteria present is large skin pores and are responsible for acne. It may make your skin dry so it is better to use a moisturizer to prevent dryness. 6. Consume Vitamin A :- Vitamin A is a great antioxidant and is required to repair and maintenance of skin cells so it is very important for your skin health. Vitamin A also provides strength to the skin protecting tissues. This also helps in limiting the production of sebum in the skin and hence helps in Acne Cure. 7. Never squeeze blackheads or pimples :- One common mistake that people do is to pick or squeeze pimples and blackheads. Whenever you squeeze, pick, rub or even touch these blackheads or pimples, they will increase. All these activities which we do to get rid of them actually lead to more sebum production in the cells and thus cause more problems. Whenever you rub or squeeze pimples, the underneath skin gets damaged thus increasing more damaged cells in the skin. 8. Water :- Water is best among all Home Remedies For Acne and is very essential for skin. 70% of our tissue or body weight is due to water. Our body burns calories and leaves behind some residue. This residue can lead to acne or other skin problems. Adequate amount of water supply to body ensures that body flushes out this dirt or residue. Also water is very essential to keep your skin healthy, hydrated, clear and, thus, great Acne Cure. 9. Aloe Vera :- Aloe Vera gel is another great Home Remedy For Acne as well as for over all skin health. When applied to the skin, it gets sucked into the skin deeply and quickly. This makes a pathway for water and other nutrients to get deeply absorbed in the skin and thus leads to replacing the oil or fatty layer under the skin. Aloe Vera increases the blood circulation in the affected area which leads to removal of dead cells and promotes regeneration of new cells. New tissues grow strong thus creating a protective layer to prevent the attack by harmful bacteria. So, it helps in Acne Cure and prevention. 10. Black Walnut :- Black Walnut when used externally works like a miracle against the acne. It is also very helpful in preventing other major skin problems. All these Home Remedies For Acne will help you get clear healthy skin.